You can choose from personalised save the date and thank you cards and a number of different options for showcasing your photographs. Albums purchased individually are £600 for a 30-page 12x12 fine art digital album. Duplicate 6" x 6" albums can also be purchased for £150. You might want to add an album to your wish list and gift tokens are available to your guests. Boxes of fine art prints are available for purchase from £185. Save the Date and Thank you cards can be purchased from £145. It's important to us to support local suppliers where we can. 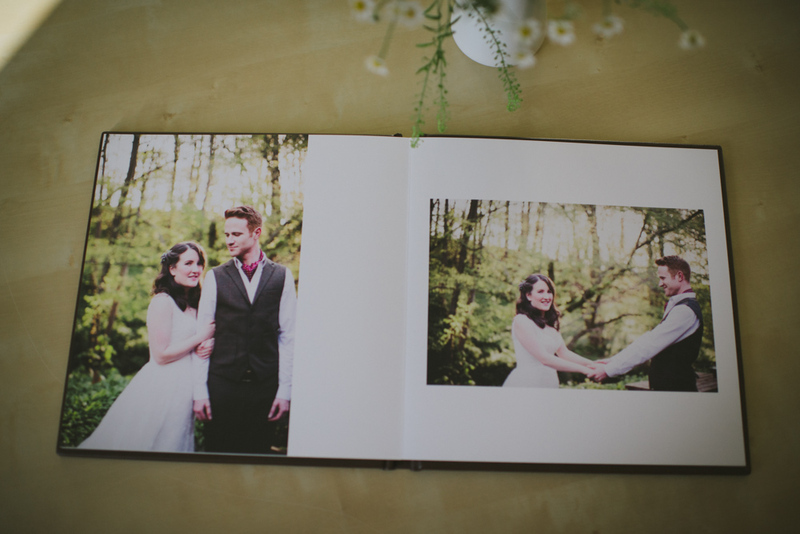 All our wedding albums are made by Yorkshire based Folio Albums and our bespoke frames are handmade by Abacus Framing who are just up the road in Mytholmroyd.